"I don’t think there’s a study on this yet, but I’ll make a guess based on my shirt-making experience. A Bengal stripe-shirt is probably about 34% more likely to get a ‘nice shirt’-type comment than the average of all other styles. Make it non-iron and you’ll have a good 23% increase. 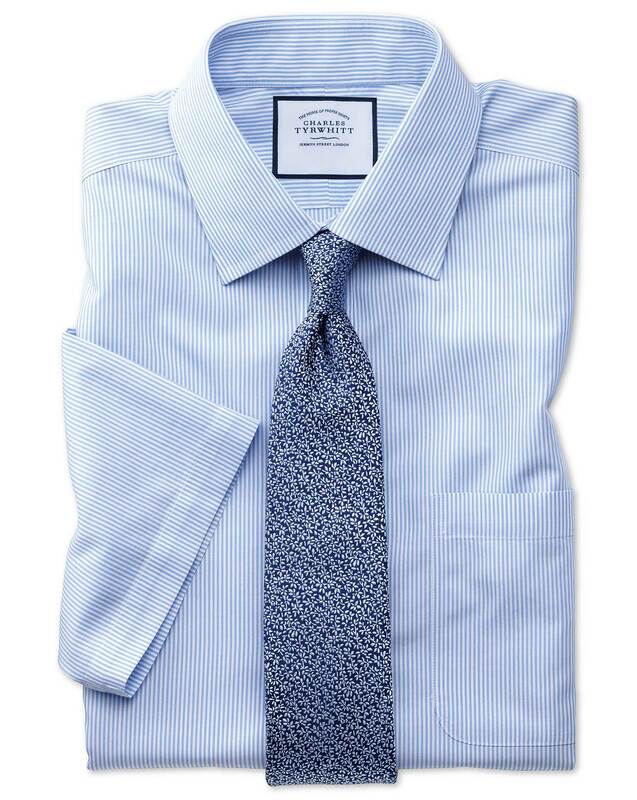 They look perfect with a navy"
Response from Charles Tyrwhitt: Thank you for your feedback. Here at Charles Tyrwhitt, we appreciate the importance of a perfect fitting shirt - in fact in our opinion this is one of the most important things to accomplish! I am sorry to hear that the Slim Fit was not the most suited fit for you. We understand that different people prefer different fits which is why we offer Classic, Slim, Extra Slim and Super Slim Fits. I would perhaps recommend trying one of our Extra Slim Fit shirts.